Clutchfix Ltd started life as commercial clutch builders, diversifying into other markets along the way! We run an all makes program, supplying both reconditioned and new products. Clutchfix have been supplying local haulage firms in and around Yorkshire, spreading further to a national scale in 12 months. We are very proud of the growth we have undergone. 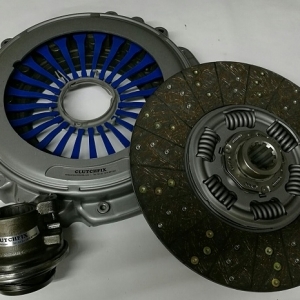 We are also supplying commercial clutch products to several European & Export customers. 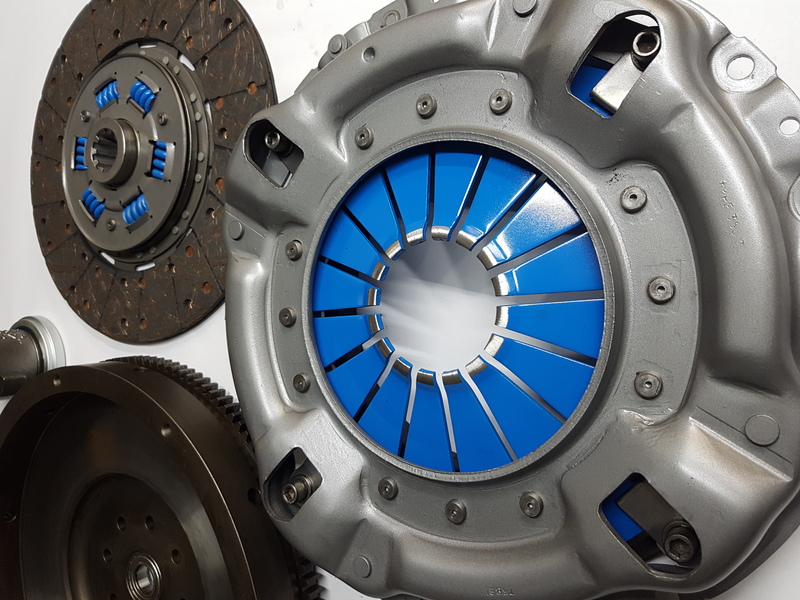 All our clutches are built to OEM specifications, using the highest quality parts available on the aftermarket and genuine spares where aftermarket is not available. 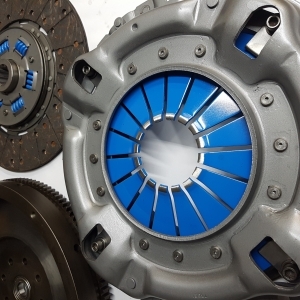 We have bespoke testing facilities at our factory so the client will know the clutch we have supplied has been operated and tested rigorously before supply. Today we supply to some of the biggest names in the Haulage, Travel and Heavy lifting industry. Clutchfix can help with a bespoke clutch for your engine / gearbox conversion! Clutchfix also have the facilities to reline brakes shoes, supply brake linings and also offer a drum skimming service. Clutchfix runs an all makes program, supplying both reconditioned and new products. Clutchfix continues with development & use of the tried and tested HD1 material. Clutchfix LTD have spent years designing the perfect package for all land rover models. Today we have managed to become on of the top restorers of Vintage clutches, undertaking work for many UK museums and private collectors. I am in the motor trade and required modifications to a flywheel and clutch setup. I had an idea of what was needed but did not have the facilities to manufacture it. I am pleased to say that clutchfix listened to my requirements and double-checked that they really understood what I was asking for. They then suggested a solution that was very similar to what I had in mind. Clutchfix then designed and engineered this bespoke solution for me in a timely manner and to exceptional quality. I really can't recommend them highly enough. Good communication, good value pricing and exceptional quality, what more could you ask for? Well done chaps! Excellent service from start to finish, almost instant delivery, totally recommend these guys. Great service and delivery was quick! Clutch fitted up and improvement is unbelievable. Looking at the clutch you can just tell it's a good quality part made to last! Very professional outfit. The clutch was with me within 24 hours. Not fitted yet, but you can tell it's a quality bit of kit! Fantastic service, Helped me identify just what I needed, and less than 24h later the new clutch is with me! could not ask for better service or friendlier people to deal with. would not hesitate to recommend these guys! A1 bunch of guys! very pleased with service and extremely good at sorting any issues with courior’s! will definitely use again and recommend to friends! A really great service, fast and super high quality. This team knows there stuff and are willing to help out with any clutch needs you have. Custom work is superb and has that bespoke feel and look. Awesome customer service... would recommend to anyone! Only driven 10 miles on my new td5 clutchfix clutch but can honestly say it's the nicest I have had (This being number 5). Really nice pedal feel and lighter than expected. Recommend to anyone. Spoke with Ben and told him my requirements for my landrover. Sent me the hd clutch kit and bearing. Have given it abuse from day 1 and no issues. (Standard Valeo clutch would have given up by now) Also made the notorious heavy clutch pedal lighter. 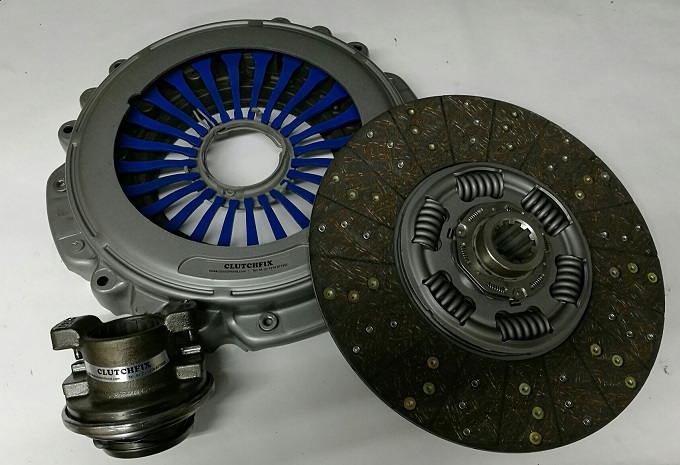 Ordered a single mass flywheel and double diaphragm clutch for my Discovery td5 commercial. An amazing bit of kit, epic quality and very good value! Good pedal feel, minimal noise and as expected, huge clamping force! Have to give ourselves a 5*, working with a top team producing some very high quality product, day in, day out is great and long may it continue! Fitted a HD1 organic kit to my 180bhp td5 90 around a week ago now going better than ever no slipping any more!! Great service! Done two custom clutches for my engine conversion projects, top quality service with a brilliant product! Thanks Ben very helpfully and supper fast service ordered it arrived the next day a lovely looking thing shame to hide it !